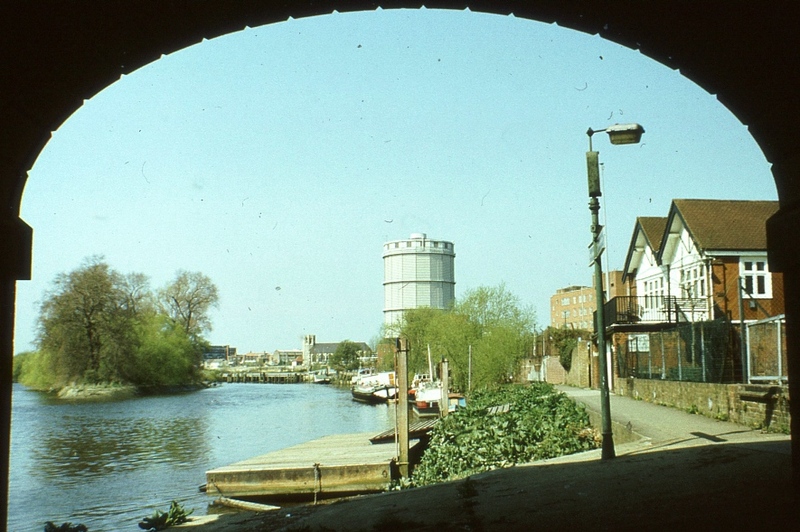 Colin Carter took this photo from under Kew Bridge, an unusual view of the Brentford riverside showing a leafy Brentford Ait, the island in the middle of the Thames, and St George's church. 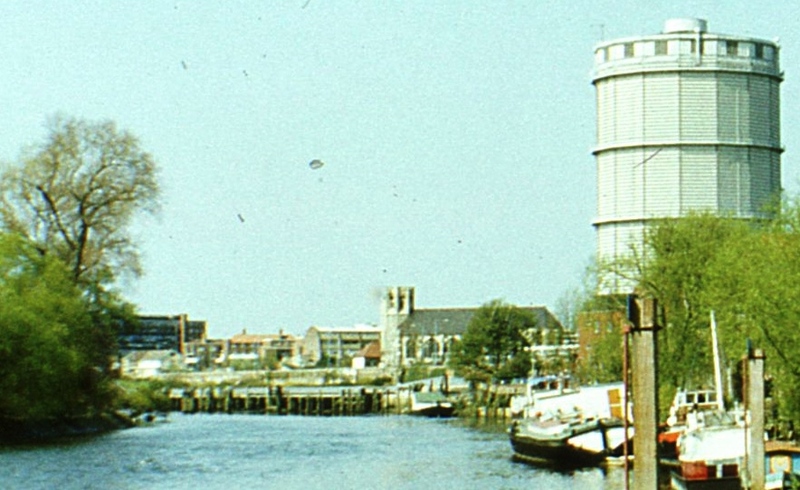 But it is the Brentford gas holder which dominates the scene. The gas works, which bordered the Thames, were closed in 1963 following the advent of natural gas but two of the holders were retained. Brentford Past has more details about the gas industry (and much more). The gas work buildings on the south side of the High Street were demolished in 1965 (I am not sure whether the photo shows these). The enlargement shows a little more detail. For a rough idea of the location, a 1925 map shows Kew Bridge to the right and the view is westwards.